Welcome to Ports by Boat! Explore how easy it is to plan your next sailing trip on the high seas. Find all of the marinas, marine services, anchorages, moorings, transient slips, charters, and sailing schools for each harbor while planning a trip. Learn about Ports and Harbors worldwide with a variety of information available in one convenient place. See marinas, photos and points of interest, look up current marine weather conditions, browse through group trips and flotillas open to the public, read and write port and marina reviews, and participate in our public forum. 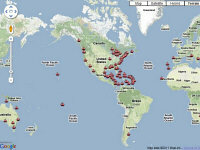 Navigate to ports, harbors, coves and islands through an interactive Port Navigation Map. 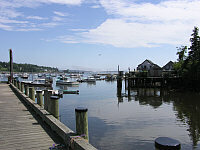 Drag and zoom on a harbor to see what the port community has to offer sailors and boaters. Become a user and add your own service, group trip and waterfront event to our Worldwide Cruising Guide. Browse an extensive Marina Directory throughout the world to make your trip planning easier. Find marinas that offer transient slips before your next trip. Get channel marker and depth information directly from the marina. Find information such as the number of slips available, power supply, on-site repair services, fuel dock and winter storage. Plan your next adventure with our Trip Route Planner. Use the Distance Measuring Tool to estimate your waypoints. Plot out a course using an interactive map. During your cruise, get a list of nearby ports and marinas using GPS technology. Log your trip activities along the way and upload your pictures. Print a copy for your records and share it with friends and family. Ports by Boat was developed to make boater cruising safe and enjoyable as boaters travel along the coastline from port to port. Information is provided by local contributors and boaters knowledgeable about the port. Join our cruiser community and contribute the knowledge you have gained through your travels. 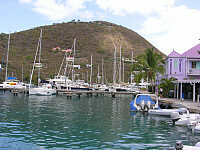 Add marinas, supplies, points of interest, lodging, charters, scuba sites and more. Write a review and participate in our forum. 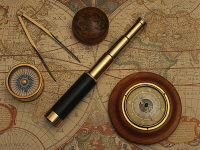 Map your next cruise with our Trip Planner documenting each waypoint with your GPS location. Find out how Ports by Boat can make your cruising more exciting. Businesses are welcome to add their basic service information for free by navigating to their port location or performing a port search. Please see our advertising program to gain more exposure for your business. Note: Depth information is updated by the user community and is not meant to replace updated charts.